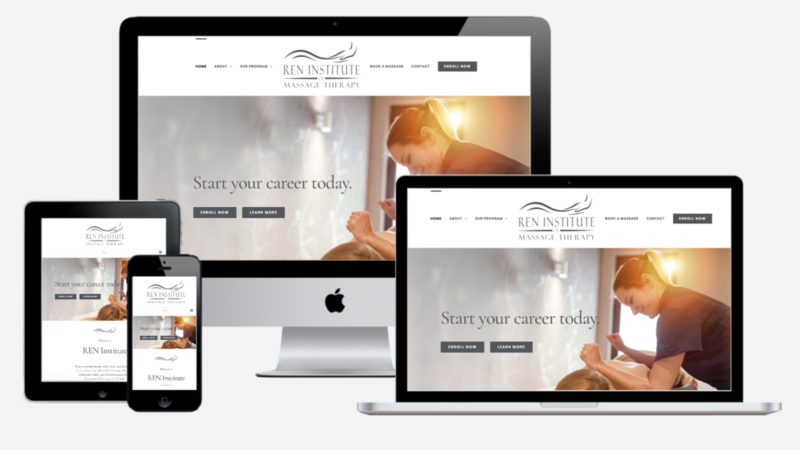 Ren Institute of Massage Therapy is a new massage therapy school opening in Kearney, Nebraska. Area healthcare professionals recognized a shortage of massage therapists in Central Nebraska and sprang into action to help fix it. They needed a website that encourage potential students to inquire more about the program. The website integrates with their lead database so website visitors who fill out the contact form are seamlessly entered into the school’s system. They also needed the website to provide key information in an easy-to-find format to explain what students can expect from their program. Let’s chat! No pressure – let’s have a conversation about what your needs are and see if I can help.